Welcome to the official website of the 2019 3rd International Conference on Structure and Civil Engineering Research (ICSCER 2019). ICSCER 2019 will be held during June 26-28, in Prague, Czech Republic. ICSCER 2019 is to bring together innovative academics and industrial experts in the field of Structure and Civil Engineering Research to a common forum. The primary goal of the conference is to promote research and developmental activities in Structure and Civil Engineering Research. Another goal is to promote scientific information interchange between researchers, developers, engineers, students, and practitioners working in Czech Republic and abroad. The conference will be held every year to make it an ideal platform for people to share views and experiences in Structure and Civil Engineering Research and related areas. 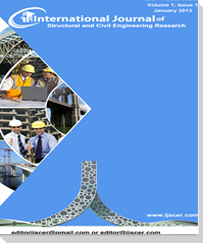 Option A: International Journal of Structural and Civil Engineering Research (IJSCER) (ISSN: 2319-6009, DOI: 10.18178/ijscer), which will be indexed by Index Corpernicus, ProQuest, UDL, Google Scholar, Open J-Gate; etc. 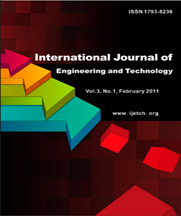 Option B: International Journal of Engineering and Technology (IJET)(ISSN: 1793-8236, DOI: 10.7763/IJET), which will be indexed by Chemical Abstracts Services (CAS), Engineering & Technology Digital Library, Google Scholar, Ulrich Periodicals Directory, Crossref, ProQuest, Electronic Journals Library, Index Copernicus, EI (INSPEC, IET). ; etc.